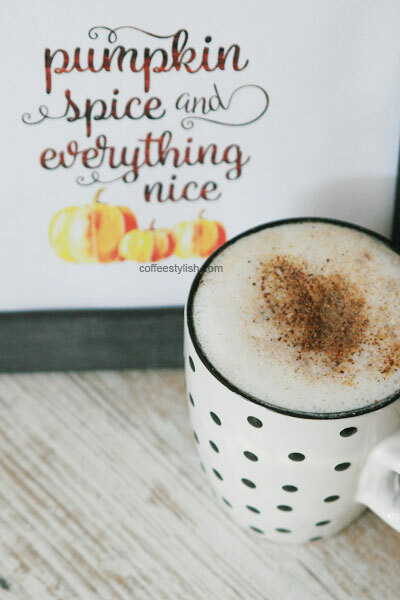 If you like my original Pumpkin spice latte recipe you’re gonna love this recipe. 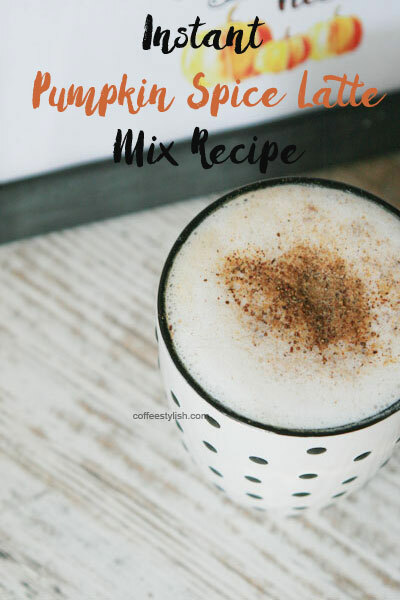 This Instant Pumpkin Spice Latte mix is made with only 3 ingredients and takes about 5 minutes to mix up. Then, all you need to do is to mix 1 tbsp. with some hot water and milk. Fresh milk. I know that most instant mix recipes use powdered milk/ creamers and more water. I opted instead for fresh milk for maximum flavor. You can use skim, 2%, whole, almond, rice or coconut milk – just not dry milk substitutes. I think it’s really the milk that’s missing if you want a good cup of instant coffee. However, if you really want a hot water only mix version, add 2/3 cup of powdered creamer to the recipe. It’s okay, I won’t take it personally. Mix everything together, store in a jar and use 2 tbsp. instant mix per 8 ounces of water to make the coffee. Mix all the ingredients together in bowl or a blender until completely combined. To make the coffee, simply mix 1 tbsp. of instant pumpkin spice mix with 1/2 cup hot water, stir well and fill the rest of the cup with fresh milk (hot or cold). Note: You could add few extra tablespoons of sugar or your sweetener of choice to the mixture, if it’s not sweet enough for you. Also, this makes a small batch but you can easily double or triple the recipe. Hot water only version: add 2/3 cup powdered creamer to the mixture and use 2 tbsp. instant pumpkin spice mix per 8 ounces of hot water. Thank you so much for the feedback, Jen. I’m so glad you like the recipe! If you have a Keurig, you might want to try one of these recipes as well. Enjoy!